Inaugurated the new Alpine A110 production line at Groupe Renault’s Alpine facility in Dieppe, Normandy, the brand’s original home. Mr Ghosn and Mr Le Maire inspected the production line dedicated to Alpine’s new sports car. “The revival of Alpine production in Dieppe, where the original Berlinette was made almost 50 years ago, presented us with a challenge, but we rose to it together, with backing from the state, the region, the local urban district, Groupe Renault and the Alliance. Investment totalled more than €35 million, 151 people have been recruited and the factory has been refurbished. 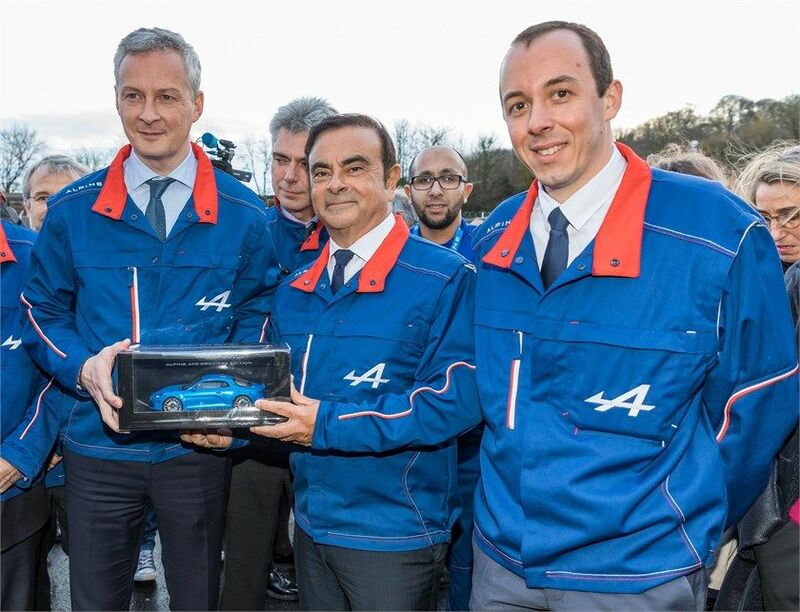 The excellence and French-style elegance that the brand stands for are more than just claims; today, in Dieppe they are an industrial reality,” declared Carlos Ghosn. Following two years’ work and of more than €35 million investment, the Dieppe plant is one of a kind in Europe. 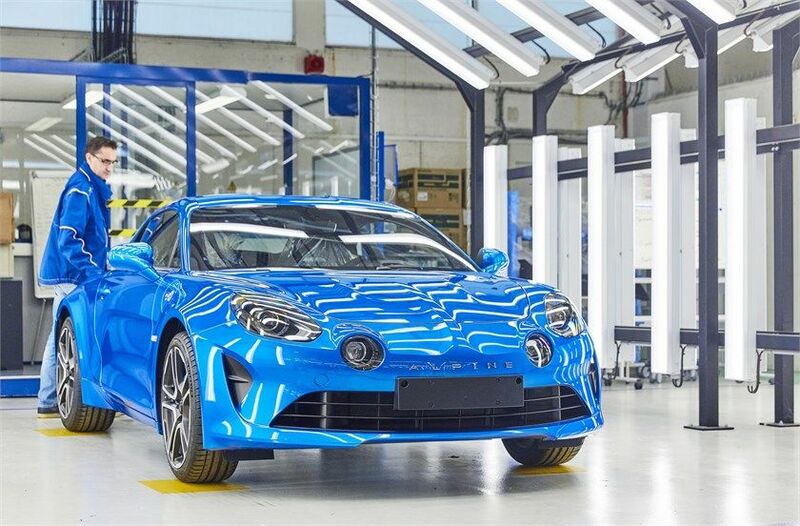 The new Alpine A110’s all-aluminium body and chassis, while the paint shop’s new sanding and cleaning robots guarantee a premium quality finish. The assembly line itself has been modernised in accordance with the Alliance’s best practices. In parallel to this transformation, in the Dieppe plant have raised workforce levels by 60 percent with the recruitment of 151 new staff over the past two years, and all 392 employees have been given four weeks’ (140 hours) training specific to production of the Alpine A110. The Alpine’s historic home, the factory built by Jean Rédélé in 1969 has long specialised in the production of small sporty models. 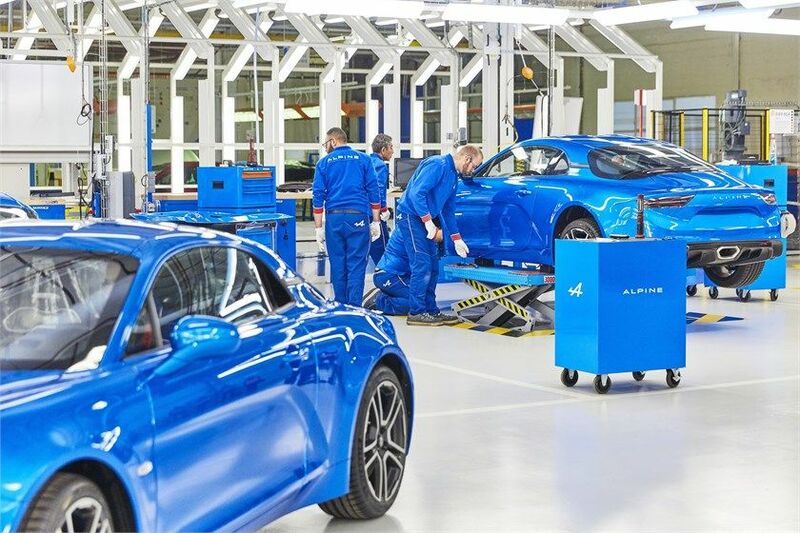 Following its conversion to Alliance manufacturing standards and, more specifically, for production of the new Alpine A110, the Dieppe plant is today perfectly qualified to produce premium vehicles.